The Food Alphabet and More: Eyes on your fries!!! For the longest time, I though that french fries were from France, haha!!! How lucky the French were, really that was what I thought, well I guess I was indeed wrong. Thinking of many of my childhood days where it was a joy to pay a visit to my favorite McDonald's store in Ronquillo and have a taste of that delicious, crisp on the outside, soft and hot on the inside, now that's how I love my french fries. I have loved McDonald's french fries ever since I have first tasted them when I was still a grade schooler, if I remember it right, it was 1985, and it has been years, and still my heart falls for it everytime it touches my lips. 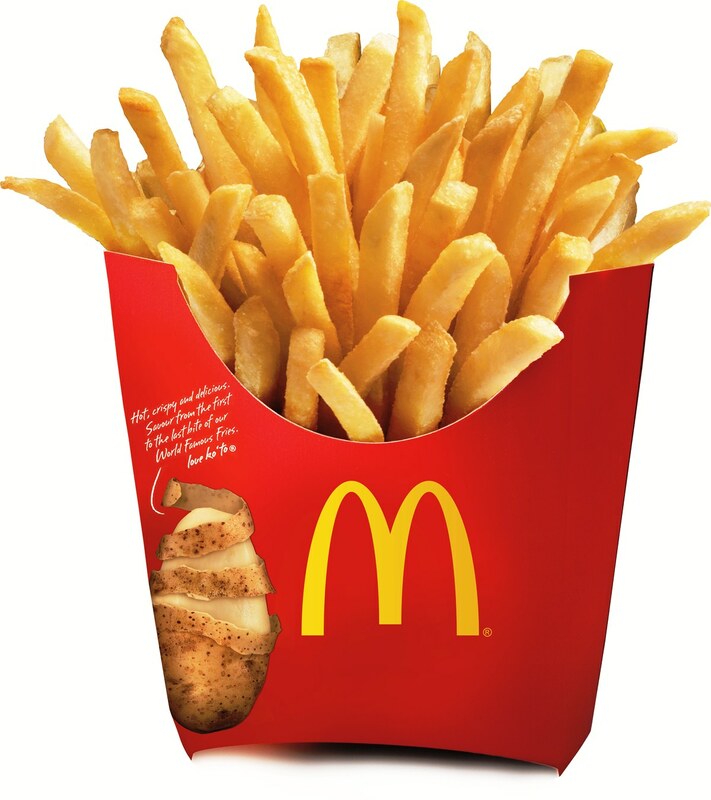 Sourced from the best potatoes, matched with the strict cooking and preparation process, McDonald's french fries is a favorite in several countries as well as for Filipinos, worldwide. Each batch of Mc Donald's World famous fries in the Philippines comes from US suppliers-the Russet Burbank, Russet Rangers and Shepody varieties - cooked in zero trans-fat Palm Olein oil for that golden perfection. I'm so glad I can get McDonald's fries 24/7, now I can satisfy my cravings anytime. Share it with friends, enjoy it with family, or better yet order one for yourself, not for sharing haha. Give in to your craving, head over to your favorite McDonald's or have it delivered via 8-6236 or mcdelivery.com.ph Like the official McDonald's Facebook fan page www.facebook.com/McDo.ph and follow us on Twitter @McDo_ph for updates. See you at McDonald's! Check out this cool TVC from McDonald's and remember "Eyes on your Fries!"